Storth is a great place to live. Situated just to the south of the Lake District National Park and in an Area of Outstanding Natural Beauty (AONB) the village is a thriving community for all age groups. 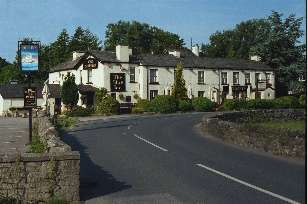 It is not overrun by tourists in the summer but the Lake District is just minutes away. The village has an excellent primary school a shop and Post Office and the Ship Inn pub There is a large playing field with a football pitch and play equipment for both toddlers and older children. There is a Village Hall on Storth Road and Heron Hall on the playing field. Both are well used by a range of groups and clubs, for example WI, art classes, badminton. play groups, bridge, indoor bowls, gardening club to name a few. Commuting to the larger conurbations is easy with good road links; M6 junction 36 (Kendal) and junction 35 (Carnforth) are 10 minutes away and there is a railway station at Arnside which links to Manchester, Preston and other stations on the west coast main line. Lancaster and Kendal are less than 20 minutes drive away. Walkers are spoilt for choice, woodland walks are on the doorstep as is the sea shore and quiet country lanes. Looking for property in Storth? Check out the links below for houses currently on the market.